In previous posts, I talked about a project that I proposed to four of my buddies. My friend Jeana Kubik offered to donate her long arm services. We called ourselves the Brack Pack. We had visited the Brackenridge Park Conservancy, and I thought it would be a great to make a quilt that tells the story of this beautiful, people’s park in San Antonio. I purchased a pattern by Debbie Grifka that I thought could represent the river and the park. We had fun fabric shopping at Creations in Kerrville. The people at the conservancy gave us the photos, and my friend’s brother printed them for us. This project gave us the opportunity to meet, sew, and have many lunches. I picked the quilt up from Jeana this past week. Today, I was able to add the label and bind the quilt. The five of us will be presenting it to the Brackenridge Conservancy on November 30. Of course, a celebration lunch is planned. My friends and I decided to try to embed the photo into the River Quilt. I spent last night and this morning trying to figure out how to do this. But, one does learn from trial and error…I hope. The problem with embedding the photos is fitting standard-size, small to medium photos within these strips. I embedded a 5″ X 7″ rectangle/drawing. It would have a 1/4 ” white frame. The photo looks too rigid and I think it breaks the flow of the river look. We are going to look into ways to applique the photos in a rustic or folksy style. I need to do more thinking and trial and error. My friends and I are excited about working together to make a quilt for the Brackenridge Conservancy. I tend to be more traditional in my quilt designs, although I have made some contemporary quilts. My buddy who quilts, is a bit more on the contemporary side. This will be a first quilt for my other two friends, but they are good at sewing. They are also very creative and a whole bunch of fun. 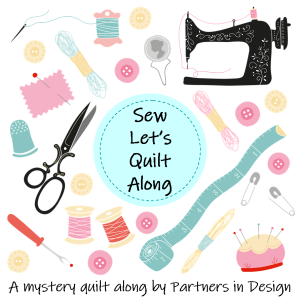 After some discussion, I found a quilt design pattern that I shared with the group. We decided on making the River Run Quilt designed by Debbie Grifka of Esch House Quilts. I purchased the quilt pattern, and we are ready to go. Our first planning meeting will be this Friday.